Special Announcement: Our First Milestone! In our lives, we always have plenty of reasons to celebrate; be it your firstborn child, a graduation ceremony, your sister’s engagement, even a small event like your best friend’s birthday! These reasons to celebrate are called ‘milestones’, and guess what, guys? We have reached our first milestone too! A BIG and HEARTY thank you to all our fans for making this possible! 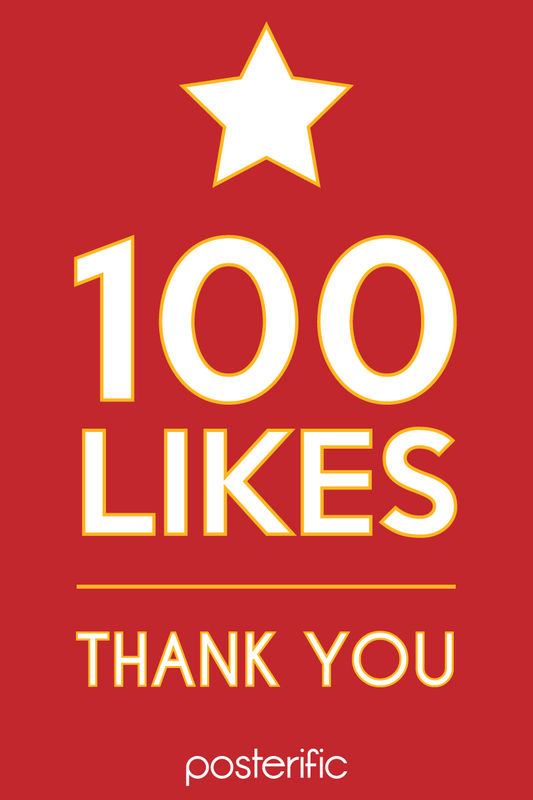 Our official Posterific Facebook page has reached its first milestone for achieving 100 likes! We definitely couldn’t have done it without all our fans!